Something new for my office desk arrived in the mail this week. 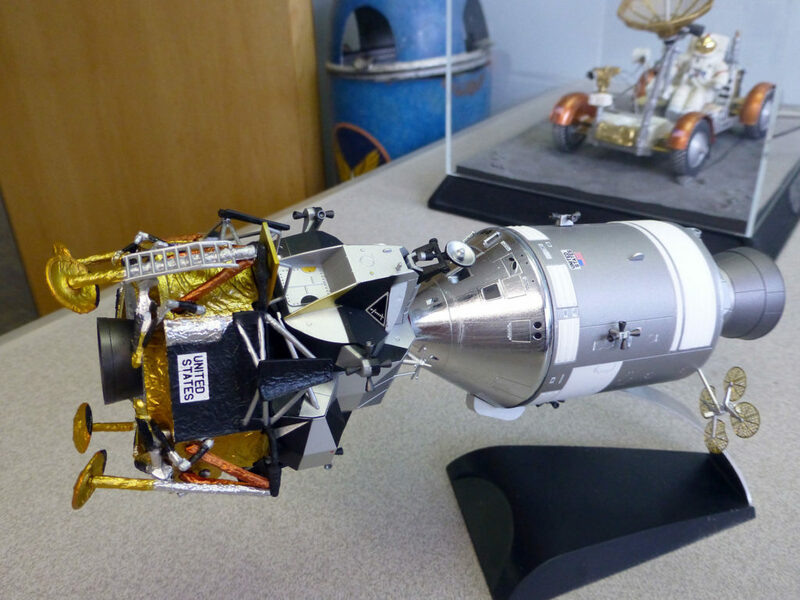 It’s a pre-built Apollo 11 “Lunar Approach” display by Dragon Models. Sure, I could have built, painted, and finished the less expensive kit version myself, but a) I’m no longer a teenager with that sort of idle time on his hands, and b) these days, when I spend hours crafting something, I like to be able to see it disappear as I eat it shortly afterwards. This would be far too crunchy. I had my doubts about ordering because as of this writing, this right here is the only decent photograph of the pre-assembled version on the entire web as far as I can tell. The other photos I found before ordering — on eBay at a bargain price — are small, fuzzy, and do no justice to it, and that includes Dragon’s catalogue and box cover photographs. Tsk. Here at the FQN we do things right, or at least emphatically say that we do. When I opened the box and had a look, I immediately approved. For a model of about ten inches in length, it’s pretty accurate and incredibly detailed, even down to the crinkly thermal blankets in three colours. 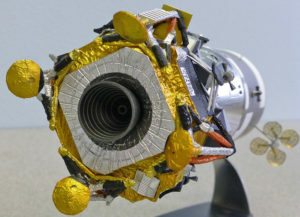 Though the Lunar Module did have Mylar in the superinsulation blankets behind the outside shielding, what you saw on the outside was not Mylar, but aluminized Kapton polyimide film, in multiple 0.5, 2, and 5 mil layers. This entry was posted in Apollo and tagged Apollo.